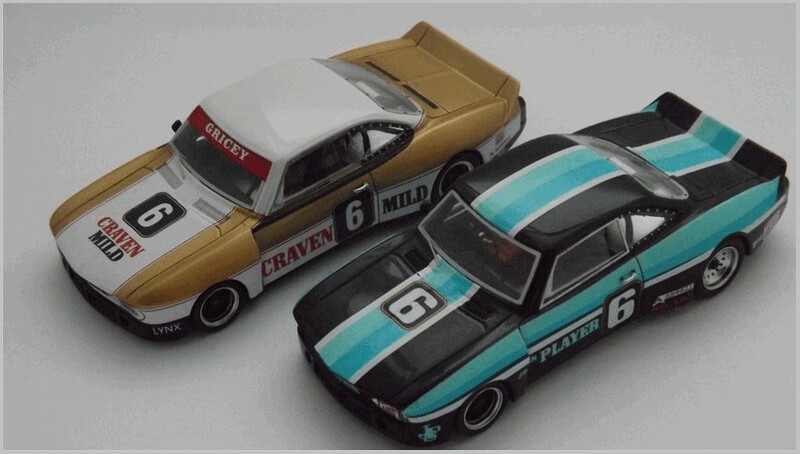 Graeme Ogg’s recent article in MAR Online about his Ford Falcon Landau by Ace Models, and Falcon Cobras interested me, as I have a passion for Australian models. For quite some time now I’ve had seven models from a small Aussie company called Models 56 by Armco. 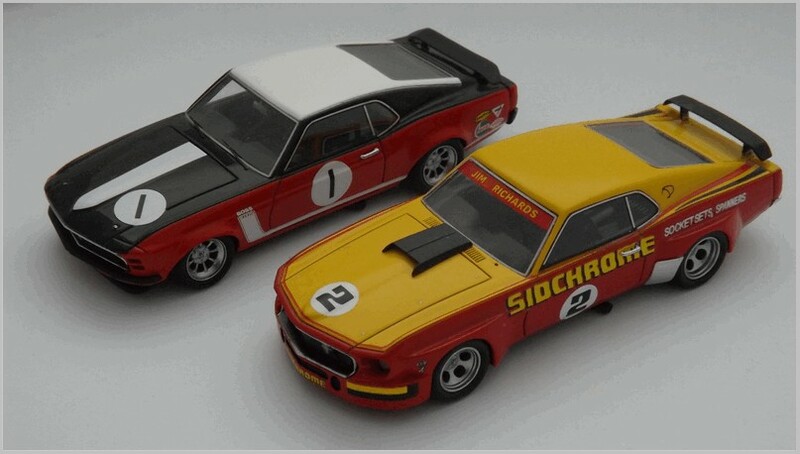 Made in resin, they are Frank Gardner’s Boss Mustang 302 and Chevy Corvair, Jim Richard’s Sidchrome Boss Mustang 351, another Corvair, albeit the same car as above but as raced by Allan Grice, a 1967 Mustang GTA and a 1972 Falcon XYGT-HO, both raced by Ian ‘Pete’ Geoghegan, and a Falcon Landau. I believe that at the time, Models 56 were the only model maker to produce models of these particular cars. 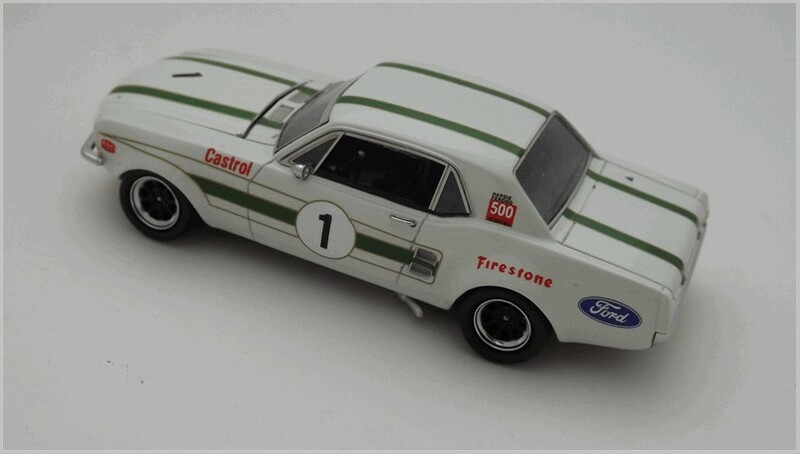 Frank Gardner’s Mustang needs little introduction, as it was the ex-Bud Moore Kar Kraft Trans Am car with which he was runner up in the 1970 B.S.C.C. championship. I saw it race on numerous occasions. The Jim Richards car was one which he raced predominantly in the 1973/74 sports sedan championship in both his native New Zealand and Australia. ‘Pete’ Geoghegan raced Mustangs to win the Improved Production class in the 1966 Australian Touring Car Championship, which he would repeat in 1967, ’68 and ’69. As for the Corvairs, they were hugely successful to put it mildly, so successful in fact they were surrounded by controversy, at least Frank Gardner’s original car was. Having spent a number of very successful years in Europe, including testing the very first Porsche 917, ‘Jack of all Trades’, Frank Gardner, returned home to Australia in 1975 to contest the Sports Sedan Championship. He acquired a Chevy Corvair, built a spaceframe chassis, carried out numerous modifications, wrapped the whole thing with the Corvair body, and installed a 5.0 motor from a Lola Formula 5000 single seater, a formula very popular in the U.K. and Europe in the 1960s and ‘70s. The car was outrageously powerful, so much in fact that other teams started to pay close attention to its legality, some even lodging complaints about it. In its first year it won almost every race, except when it rained. It was so dominant and Gardner so hacked off with the complaints, he offered to start from the back of the grid even if he had claimed pole position, which he did, frequently. He easily won the Sports Sedan Championship in 1977. He sold the car to Allan Grice who would be champion with it in 1978 and ’79. It’s my understanding that the Corvair may well be inadvertently responsible for the demise of the championship. The Landau is a model which I have long treasured having in my Aussie collection. The car first saw the light of day in 1973 and was based on the recently introduced XAGT. It was distinguished from the standard XAGT by its vinyl roof and all black full width grille behind which were hidden its foldaway headlamps, similar to those on a Mercury Cougar and the 1970 Ford Torino. The family resemblance between the Torino and XAGT is very evident. The ‘Enemy’ car seen in the ‘Mad Max 2’ film, also looks to have its origins in the Landau, certainly in respect of the grille and vinyl roof. 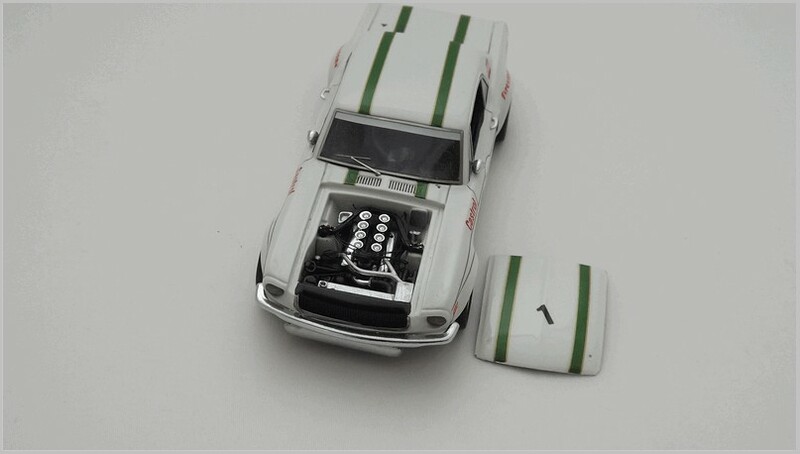 This model is part of the two car set by Auto Art in both 1:43 and 1:18 scales. They also produce a ‘dirty’ version, which can be expensive, if you can find one! If memory serves me correctly, the Models 56 model was originally offered with either polished ‘five slot’ alloy wheels, like mine, or with full width covers, or those shown on the gold car in Graeme’s pictures. There were various colours, black, with a black vinyl roof, metallic blue and yellow, each with a white roof, and one in a metallic blue/grey with a black roof. At the time I bought the Armco’s, I was receiving regular e mails from founder, John Pisani with updates about their models, many of which sold out very quickly. Communication ceased some while ago and their own web site no longer exists. There is a web site, www.wixy500.com/production ceases for Armco Models/56, which states that production had ceased, dated May 23rd 2017. I’d bought my models long before that. There is also a picture of many of the models which they had produced. I used to have a brochure but this has long since disappeared. All of their models were superb examples of the type and many were very different from offerings by the ‘major’ Australian model manufacturers. 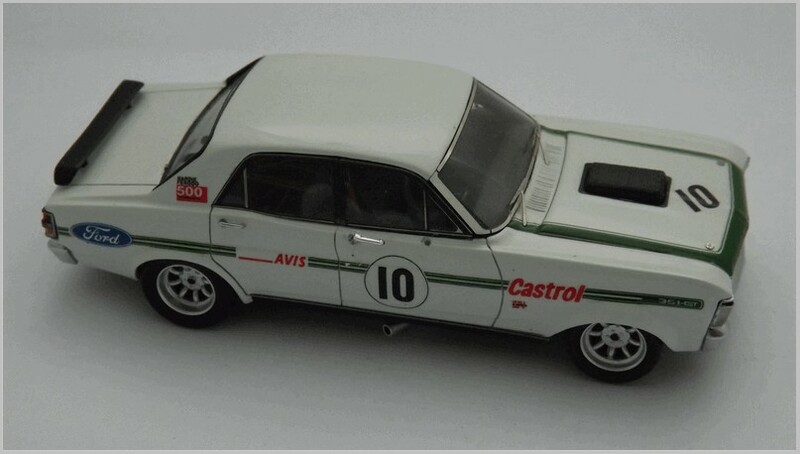 Did anybody else produce a model of Bryan Thompson’s VW 1600 Fastback with its 5 litre Chevy engine, or the late great Peter Brock’s tiny A35 with its huge wing extensions covering very wide racing wheels. 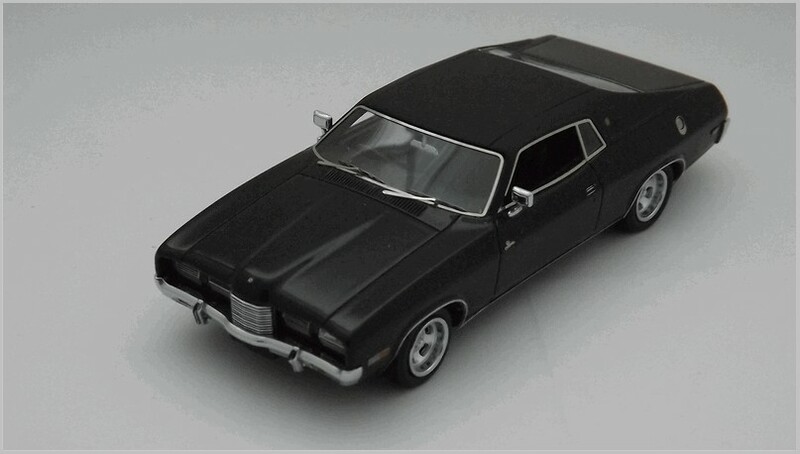 There was also a black road going version of this model. All of the above refers to models in 1: 43 scale, many of which sold out very quickly. The cruel irony is that for such a small company with limited resources, they produced superb models, easily as good as anything produced in the northern hemisphere. For more than fifty years I’ve been an admirer of the Minilite brand of racing wheel. The Geoghegan XYGT-HO and Mustang models have a set of them, as does the Frank Gardner Mustang. The wheels on these models are excellent examples of the famous British race wheel, as are those on the Jim Richards Mustang, which were built ‘in house’ in New Zealand by the car’s builder Murray Nunn, a close pal of Jim Richards. With the demise of Models 56 I was surprised to see what might ‘appear to be’ the resurrection of some of their moulds under the Ace banner, are these the self same models? I was surprised when what appeared to be former Models 56 models in Graeme’s ‘Ace’ article last year. They have got to be them, haven’t they? Especially bearing in mind that until I saw that article, in all my years of collecting Australian models, I had never heard of Ace Models. All of my Models 56 came direct from Armco. That Models 56 by Armco no longer exists, to me is a great shame.